IIs your future up in the air? Find out what it takes to become a pilot. With the help of computers, you’ll receive both ground and flight instruction as you prepare yourself to pass the Federal Aviation Agency (FAA) exam! Actual flying time is logged in. The professional pilot may work in several environments: commercial airlines utilizing large jets, regional airlines with smaller jets or turboprop airplanes, the military, or private businesses. Other positions may be in air traffic control, airport management, air carrier operations, or related governmental positions. *Please note that certain medications may disqualify a student from passing the FAA medical review. 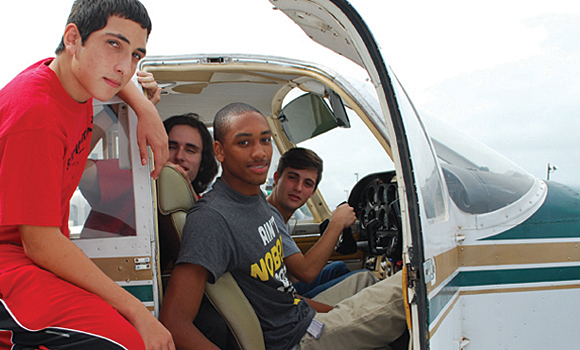 Students must successfully meet the academic and attendance criteria for a two-year Wilson Tech Certificate of Completion, be High School diploma eligible, and pass the following national certification exam: Federal Aviation Administration (FAA) Private Pilot Written Knowledge Exam. Mehdi Delshad embarked onhis aviationjourney28years ago and has flown privately and commerciallysince then amassing more than 5500 hours of flying time as a pilot.He developed enough expertize to gain his airline transport pilotlicense as well his flight instructor certificates (CFIA, CFII, MEI). After working as a commercial pilot in Florida, he worked for Dowling College School of Aviation as a check flight instructor for three years when he was responsible for testing student pilots as well as their instructors for safety and proficiency. Additionally, he workedasthe chief flight instructor for Global Aviation Corp flight school on Long Island for two years. In this rolehe was responsible for the initial certification and FAA approval of the flight school training curriculum and instructor standardization.